In this project PSI Roofing was tasked with a challenge to find an environment friendly roof solution for some 60 years old shacks and barns built to house USDA researchers back in the 40’s. After proper evaluation and research PSI installed new Englert Aluminum Standing Seam and GAF Materials TPO (Thermoplastic) roof systems which are LEED and EPA approved for sustainability and energy efficiency. Several buildings throughout the property received new roofs, fascia and vented soffit metal solutions. 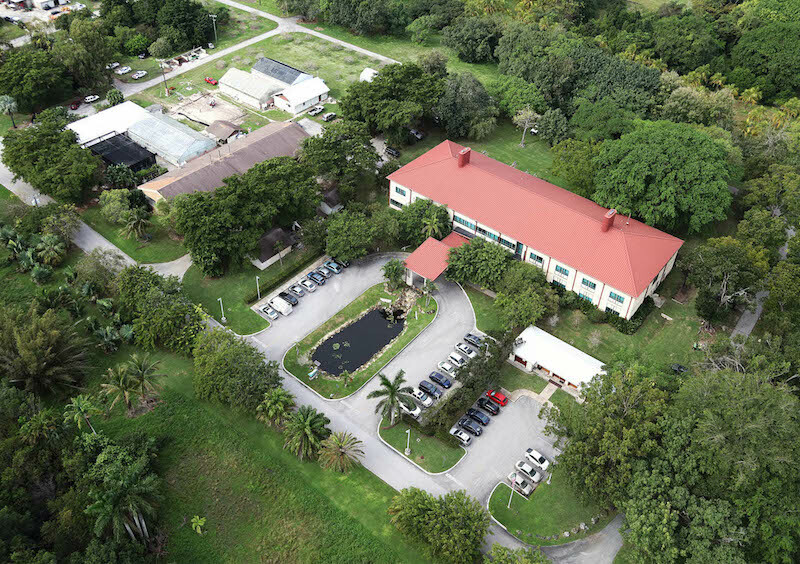 Along with the roof improvements, PSI installed interior/attic insulation to upgrade these sexagenarian buildings to accommodate new HVAC system and the changes of temperature with new climate controlled systems. While roof renovations were underway PSI Roofing was responsible to keep safe and untouched all grounds, plants, trees and family of peacocks currently living in this 60 acre farm/research center. All research operations were in place and at no time the USDA staff was interrupted in their studies of over 200 species of plants, trees and fruits currently being conducted in Cutler Bay, FL. PSI is proud to have contributed with our services to such an important restoration project for the US Department of Agriculture and its research team in Florida.